Oregon is a gorgeous, wonderful place to live and work, and Oregon State Women’s Basketball is one of the newest stars of the sport. Coach Scott Rueck was born and raised in Oregon, so it might take more than just money to lure him away from his heart-home. He has an opportunity to be, at Oregon, what Pat was to Tennessee: A lifelong ambassador of his state to women’s basketball. Doesn't matter how many would jump. And it doesn't matter how quickly it would turn around. They are not going to make that investment. As long as Holly doesn't do something really stupid publicly to embarrass the program (Bobby Petrino level stupid), she ain't being fired. Nice try though. I think the play of her teams is embarrassment enough. I can't really think of a present top ten coach who would jump ship for Tennessee, they might use it as a ploy to increase their present salary. I do think the program's rich history and outstanding facilities would be an outstanding draw for a top ten coach. The Lady Vol name is a recruitment magnet all of its own, I think you try for a big name with the idea you might have to settle for a top assistant at a top ten program. However, as it seems to be the case with Holly, a top assistant may prove to be a bad idea. The problem is, coaching is not an exact science, look at what happen when Texas hired former Duke's women's coach, Gail Goestenkors to rebuild Texas' program. They paid her big bucks, however, she was unable to bring the program back to its former self, and subsequently she resigned. The only difference is that Texas allowed its program to hit rock bottom before they tried to put it on life support. Poor Texas Tech has made several hires trying to rebuild their women's program, after they allowed it to hit rock bottom, including Alabama's head coach and former All American player Cheryl Swoops. Now they hired Minnesota's former head coach with a history of rebuilding bad programs. Old Diminion is trying to rebuild their program with the hire of former Lady Vol player, and former assistant USC coach, Nikki McCray. We are not at the point those programs were at before their administrations decided to revive their programs. We are at a good point, the key is to take action before the wheels completely fall off. but she never "went there." A true test of a coach is what they can do with someone else players. The final test of a coach is what they can do with their own. Has that got her fired yet? No? Get used to something; they don't care what you think. Or me. Or anyone else that gave a damn once upon a time. Agreed. If we cannot raise the salary bar, but we can get a coaching staff for the same money or less that can coach and develop players much better than the current staff. The only coach I would keep is Reaves for recruiting. Well Mike, it is a exercise in futility to even discuss which coaches to keep or fire or hire. They ain't going to fire Holly, even if they miss the tournament. She has the backing of Pat's former players. Just watch social media after the season is over. Or Hell, just stay here, somebody will link it. And when it's done and dusted, Fulmer will make some statement expressing belief in Holly. Either he doesn't care or he doesn't want to cross those women. I am betting on the first but not discounting the second. Remember, LST. She has had offers through the years but remained loyal to the Lady Vols. I don't know what the answer is. Phil may be a little hesitant based on what happened when he got railroaded years ago. I agree and think she will at the end of this season. "It is a far, far better thing that i do than I have ever done...."
This isn't necessarily true. A coaching style usually requires compatible players to that style. If you coach in a run run, pressing style it does you little to inherit a team loaded with bigs. Likewise if your coaching strength is the inside game, inheriting a team loaded with guards doesn't help you. Don't kid yourself, he makes a little over $300,000 at Oregon State, he would make double, at least, at UT. At the end of the day money still talks, very difficult to turn that down, totally changes how/when you're able to retire, help your kids and your family. You may be right, but it sure seems like money doesn't talk quite as loudly in women's basketball as it does in men's or football. Relatively parallel jumps are rarer. And how about Karl Smesko at Florida Gulf Coast? Great every year, with two upset wins in the Tourney, including knocking off Missouri last year. That’s like saying Alabama has nothing on Vandy except tradition. Silly. I must have missed Vandy's national championship. He said that UT had nothing on South Carolina except tradition. UT: South Carolina (who has won a title recently) does not equal Alabama: Vandy. I'm not saying I agree with him, mind you, just that your comparison didn't work. Wes Moore, Scott Rueck or Kelly Graves can bring the LVs back to an elite status. I don't think Tenn has a shot at getting Scott Rueck. He is establishing his own legacy where he is at. He is finally getting top ten recruits. He is at the point where he doesn't need the Tenn Vol name to draw in the recruits he wants. As has been stated by another poster, success at one place doesn't necessarily carry over to another program. Circumstances also plays a major role. That was the issue with GG from Duke. The conditions at Duke were ideal for her while the ones at Texas were not. Besides she was over rated by the Duke fans who just thought she walked on water. Out of her ideal situation she sunk like a rock at Texas. If she returned now to Duke she would not be able to resurrect the program again because the situation is different and WCBB dynamics have changed. I will say that Tenn, unlike Uconn would still be a better draw for a good coach that could take advantage of the name to build a good program. I do not think the same applies to Uconn. When Geno leaves that program will decline with or without a good coach. Even if a Geno clone would appear the existing environment that built that program has sailed. WCBB is in a constant change of flux and what was worked in the past no longer works as well. In this I agree with Holley when she stated that Pat would have a hard time coaching today. Even Geno's program, which was the vanguard of the newer systems that followed the Pat Summit era, is starting to out live its time. This is one reason that Uconn is no longer getting it's pick of the litter. Add the fact that other than the Program itself and Geno's reputation, Uconn, not being in a major conference. has little else to offer. To quote that controversial song. " Baby it's Cold Outside". It certainly is cold in that area of the country. 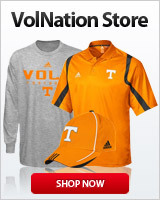 However Tenn needs to act quickly, because the longer they wait the more the Vol name will cease to have any influence. There are just too many successful programs for name recognition to have the same effect it did just a few years ago. WCBB has entered the era of more parity. UT will always be her legacy so it will always have the potential for influence. We just need the coach to make the program their own. And yes Pat could easily coach right now. but she was more than capable of doing that task...Athletes don't change. At least the true competitors don't. They are eager to be coached.